Two pieces of music are required to be performed by each contestant. one of the following required pieces. Contestants may use music only for the required pieces. "Sopum" for violin and piano, based on the theme of "SangYoungSan"
How to order the required music? 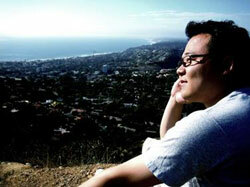 Sung Joo Hong is a BM degree candidate at the Manhattan School of Music. He studies music composition with Richard Danielpour. His music has been performed by Claremont Ensemble, Manhattan Composers’ Orchestra, Manhattan Chamber Ensemble, and Virtuoso Artists. Awards include the Pasadena Arts Council Award, the CMS Scholarship, and Claremont Prize. “Bell Flower” (도라지꽂) for piano solo. This piano piece is based on a theme from a Korean folk tune “Bell Flower” or “Doraji”. The piece also includes rhythms from Korean “PungMul Nori”. This piece attempts a musical recollection to make Korean folk tune and rhythm materials into a piano music. Lecturer, Joong-Ang University, Seoul, Korea. Grand prize winner of the KBS Music Composition Competition, Grand prize winner of the Best Musical. “Chang-gu nori” (장구노리) for piano solo. This music is based on Korean traditional “PungMul Nori” rhythm “Gil-gun-ak Chil-chae” and “Ma-dang Il-chae”. This piece is an interpretation of Korean traditional rhythm into a piano music. The melodies in the middle of this piece with slow tempo derived from a Korean folk tune (Ihm-sil-gun, Bang-ah ta-ryung) from IkSan region of the Chun Buk Province and consist of “pyung-jo melody”. The dynamic rhythm and beautiful melodies of Korean folk music were incorporated into this piano music. Eugene Cha was born in Los Angeles, USA and grew up both in Korea and USA. So he knows a lot of both cultures. Currently he studies in Peabody Institute of the Johns Hopkins University and his major teacher is Dr. Chris Theofanidis. He also studied computer music with Dr. McGregor Boyle. Now, his main interest is combining music of different worlds and cultures. “Chaos” based on SaeTaRyung (새타령). Like to goal of this competition, I composed a piece that fully incorporates Korean spirit and that has elements which interests the listeners of the younger generations. Korean spirit and cultural heritage is achieved by incorporating themes from traditional song “SaeTaRyung”. Among different versions of this song, Chun La Province’s SaeTaRyung but conveying the emotions of that of JukByukGa; on top of this idea, I added the element of “chaos” to lead the whole music so that the emotions go up to the highest level. There is no doubt that this dynamic and vigorous element of chaos will interest the younger generations. In my original composition, two main themes are used; bird’s chirping and the chorus part of the whole song. The piece opens up with introduction followed by introduction of the main themes. Starting from measure 17, these two themes are varied in different interesting ways (bird’s chirping development_>transition_>chorus part development… and so on). It is also interesting to note that the bass line of the development sections are comprised of 5 tone boundary. Another aspect to note is that frequent time signature change in the development section represents the state of chaos of the bird (that lives through the cold winter forest) which once was a general who fought and died in a war, like the story in JukByukGa. The real beauty of this piece is experimental and open-mindedness that fully captures the intended spirit. 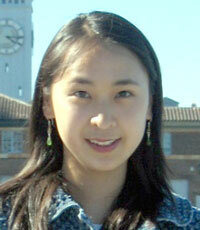 Jean Ahn is a 4th year Ph.D. student at UC Berkeley. She was born in Korea and received her B.A. and M.A. at the Seoul National University. Recent awards include the De Lorenzo Prize and a fellowship to Aspen Music Festival. 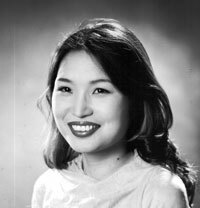 As a two time recipient of Korean Traditional Music Festival Award, she has also written many pieces for Korean and other eastern asian traditional instruments. Her music for Koto and electronics has been played in CNMAT (Berkeley) and CCRMA (Stanford) concerts. Korea Times of Chicago 9/2/2005 news article. “Nil-Lili” (닐리리) for solo piano. Using the theme of Korean tune “Nil-Ni-Ria”, this music extends the piece by juxtaposing chromatic scales or pentatonic clusters. The piece has the joyful lightness of the original tune which is one of the most popular folk songs from Kyung-gi Province. 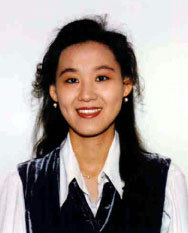 Hyun Kyung Kim is on the Computer Music Faculty of the Goucher College in Baltimore, Maryland. 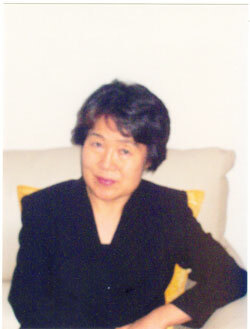 She just obtained doctoral studies in computer music composition at the University of Maryland in May 2005. Previously she received a bachelor and masters in music composition from Peabody Conservatory of Music at Johns Hopkins University in Baltimore, Maryland and pursued Music Technology studies at New York University. She has worked professionally in recording facilities and as an international sales consultant at Harman Consum er Group in New York. “Blue Bird” (파랑새) is based on traditional Korean melody “Sae-ya Sae-ya Parang Sae-ya”. It is for a piano solo and composed in a variation format. It starts with four measures of introduction and each variation is about eight measures long and explores various styles, such as musette, nocturnal, canon, arpeggios, and waltz. “Blue Bird” consists a original melody of “Sae-ya Sae-ya Parang Sae-ya”.and each section has clear contour of the traditional melody. Thus the performer should bring the melody out clearly from the other accompaniments or inner harmony materials. Since each variation section has its own style, there are couple of abrupt tempo changes. However performer should either speed up or slow down few measures before the each section, so the flow of the music would not be interrupted and connected smoothly. David Schober grew up in Rushford , Minnesota and holds degrees in music from the Oberlin Conservatory and the University of Michigan . In 1995, he spent six months at Yonsei University in Seoul studying the language, history, and traditional arts of Korea . He has received commissions from the Minnesota Orchestra, the Fromm Foundation, the Naumburg Foundation, and the BMI Foundation; his music has been performed by the Utah Symphony, the American Composers Orchestra, the IRIS Chamber Orchestra, the Mir َo String Quartet, and eighth blackbird. Last year he joined the music faculty of Queens College in New York City . “ Fugue after the Korean National Anthem” (애국가) for piano solo. This piece is a fugue eonxtructed around melodic segments of the Korean National anthem. The opening melodic phrase forms the primary fugue subject and is developed into a four-voice exposition. The end of the second line of National Anthem concludes the exposition. The third line of the Anthem forms the basis of the episode beginning in m 19. The melody appears in the middle voices, set against a modified version of the fugue subject. A second fugal exposition in the relative minor key begins in m.27. The subject is presented in stretto (closely overlapped entrances) in m48-51, leading to the climax at m.52, in which the last line of anthem occurs in the highest voice in augmentation (half the original tempo) simultaneously with the entire first line beneath. The final phrase of the anthem, in a series of varied harmonizations, brings the fugue to a close. I have long been touched by the natural imagery and the hymn-like beauty of he Korean national anthem, and this composition is a response to my many wonderful experiences among Korean people, both in the U.S. and throughout my travel and studies in Korea . Jeong Kyu Park attends the Korean National University of Arts graduate school, where he has received a BM in music composition. He has studied with Sung-Ho Whang, Feliciano, and Byung-Eun Yoo. Mr. Park was the first prize winner of the 2003 Dong-A Music Competition, 2004 Tong-Young International Music Festival, 2004 Korean Chorus Music Festival, 2004 Seoul City Chorus Music Competition, and 2004 Dae-Jun City Chorus Music Competition. “Toad” (두껍이) for violin solo. A piece of eight variations, it is based on a theme derived from a Korean traditional children’s song “Du-Gup-Ah, Du-Gup-Ah” (Toad, Toad). It starts with a slow tempo, gradually accelerating to finish with a strong and stormy ending. to be used as a Required piece. David Evan Jones is a composer of instrumental, vocal, and electronic music and a theorist writing about relationships between phonetics and music. In 1980-81, he was Composer-in-Residence at the University of York, England. He has subsequently taught at Dartmouth College and now at the University of California Santa Cruz . Jones' works have been recognized by grants from the National Endowment for the Arts, the California Arts Council, and the New Hampshire Arts Council, and by an invitation to present two full concerts of his works at the Festival d'Automne in Paris . He has been awarded first prize in the Premio Ancona International Composition Competition ( Italy , 1983) and first prize in the competition sponsored by the American New Music Consortium (New York, 1985). He has composed in residence at the Elektronmusikstudion (EMS), Stockholm and at L'Institut de Recherche et de Coordination Acoustique/Musique (IRCAM), Paris . His articles have appeared in Perspectives of New Music and Electro-Acoustic Music. 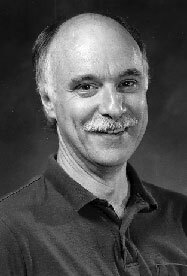 His compositions are published by Dorn Publications, and on compact discs from Wergo Records, Contemporary Recording Studios ( Broomall , PA ), Centaur Records, and CRI. “Eemulnori: Memory and Reflection ” (이물노리) for violin and piano was inspired by the Samulnori tradition and composed as a gesture of respect for the spirit and musical sophistication of traditional Samulnori performers. As the title suggests, Eemulnori is in two sections. Each half remembers and develops a specific rhythmic cycle from the Samulnori performance on the compact disk set from the National Center for Korean Traditional Performing Arts. The first rhythmic cycle is from the familiar opening of the Samulnori performance. The entire first half of Eemulnori can be thought of as a series of variations on this theme. The rhythmic theme is stated clearly by the piano in bars 1-21. The violin takes the rhythmic theme in bars 22-42. The rhythmic theme is presented in a series of canons (with an added “free” voice) in the third variation that begins in bar 43. As can be seen from the score, the variations progress gradually in complexity. The fourth and last variation (bar 65) maintains a modified version of the phrase structure of the rhythmic cycle but obscures the original rhythm. The second half of Eemulnori is based upon a faster rhythmic cycle (a condensed variation of the original cycle from the same Samulnori performance). The theme of the second-half of Eemulnori (bars 84-87) is based upon the subdivisions of this four-bar rhythmic cycle. The original Samulnori rhythm is stated clearly only near the end of Eemulnori at a tempo and in a manner intended to recall the excitement at the end of a Samulnori performance. In Eemulnori, the two “objects’ played are not only instruments but rhythmic themes and emotional concepts (“memory and reflection”). The form of “play” concerns memory and change: the first half begins with a clear Samulnori rhythm and gradually diverges from it. The second half begins rather far away from the fast Samulnori rhythm but returns to it more literally at the end of the piece. The difficulty of the piece is primarily in the Samulnori rhythms themselves. Some accommodations of parts can be made if necessary to make the piece more easily playable by students. 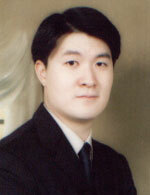 Hyo Jong Kim studied music composition at the Seoul Arts University and won prizes from many competitions. 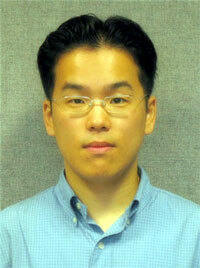 Recent honors include the bronze medal for “jejudo” from the Korean Traditional Music Festival Competition in 2004. Currently Kim is working on musicals and music for movies. Sopum for violin “Sopoong (picnic)” (소풍) is a piece for violin solo in F major with bright, lively and humoristic melody. Composer tried to emphasize lively and exciting aspect of the Korean traditional melody. This piece expresses excitement and joy of picnic day. The composer tried to contrast parts with F major and F minor. Fantasy for Violin and Piano was composed in 2004, especially for the First Sejong Music Competition. The theme is based on a Korean art song, Sarang by Nanpa Hong. Dong-Ji Moon ’s musical education was greatly influenced by his mother who is a pianist and teacher. He came to America in 1997. He participated in the Montgomery County Honors String Orchest r a and has been awarded by The Old York Road Symphony. He is currently studying composition with Dr. Brodhead at Temple University . "Petite Suite" for cello solo: #4, "Dal ah, dal ah"
Soonmee Kahng is a professor at College of Music, the Sungshin Women’s University at Seoul, Korea. 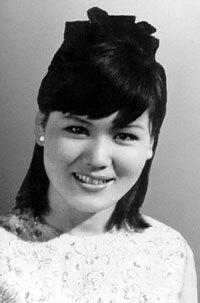 She received her BM at the Ewha Women’s University, MM at the Manhattan School of Music, and PhD at the Michigan State University. She composed “Arirang Fantasy for Violin solo” for the 2004 Sejong Music Competition to be used as a required piece. A beautiful ring around the moon is described by employing slow tempo and double stops with the tune in the first movement. Eastern modes and rhythmic patterns are used to represent the yearning for the moonlight voyage somewhat abstractly in the third movement. In the fourth movement the tune, "Dal ah, dal ah" is repeated with its melodic rhythmic variations. "Taken Away at Twelve: III. Return"
Rob Collins has held composer/performer positions in ensembles performing in various genres: Rock (Brother Meat - Bass); Trip-Hop (Makka Sleuth - Bass); Progressive Metal (Syzygy - Guitar/Vocals); Jazz (Chairman Mouse - Piano); Modern Chamber Music ( BCF Trio - Percussion/Piano/Electronics) as well as various Gamelan Groups. Currently, he resides in New York and is the pianist for the new music ensemble "Slow Six." 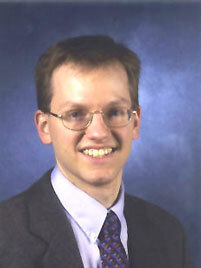 Rob also spent eight years as an accompanist and composer for the Cornell University Dance Program. 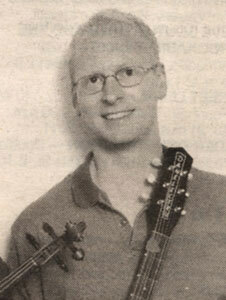 His interests in Computer Science led him to work as a consultant in Cornell's Computer Science Department and study Algorithmic Composition with David Cope and Paul Nauert. Degrees include a BA (Performance & Music Ed) from Ithaca College; an MA (Composition) from UC Santa Cruz and current work on a PhD (Composition) at the City University of New York Graduate Center. Grants for overseas musical research have taken him to Indonesia and the Republic of Korea. Jindo Arrrirang for cello & piano: The melody of Jindo Arirang served as the melodic material around which harmonic and rhythmic materials were arranged. 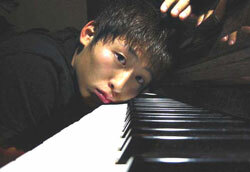 Geon-yong Lee started to compose since age twelve. He played oboe in school band in Seoul Middle School. He studied composition with Dal-Sung Kim at Seoul High School of Music and Arts and with Sung-Jae Lee at Seoul National University. In 1976 he went to Frankfurt am Main, Germany, and studied composition with Heinz Werner Zimmermann at Frankfurter Musik-hochschule. 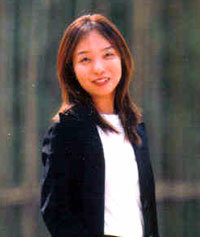 After returning to Korean he taught composition in Hyo-sung Woman’s University and Seoul National University. 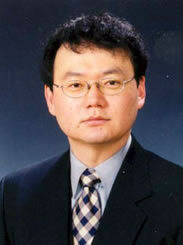 He moved to the Korean National University of Arts in 1993 and was named the president of the university in 2002. Lee is one of the most serious composers of our time in Korea. It is his dream to share the story of lives through music. He doesn’t want to be alienated from his own music by burying himself in contemporary trends, and he does not want to be distanced by others. After returning from Germany he challenged the modernism which dominated Korean musical environment in early 1980s. He founded composer’s group called The Third Generation. Since then he has devoted his effort in creating music that represents the unique identity of the third worlds and Korea. In early 1980s he produced mostly chamber works which include his experiments with Korean traditional styles and forms, such as Phrygian Sanjo, Cello Sanjo, Syrum-norum, and He-yoo-Gok. During late 1980s, while the political and social conditions of the country changed for the worst, he composed many vocal pieces with strong messages including Song of Yellow Jesus and Psalms of Wrath. Since early 1990s he has been focusing on the words like ‘touching’ and ‘moving’, and beauty of lyricism. His interest narrowed down to the localized beauty rather than the universal. All of his works performed today fall under the category of this inception. “Ong" is a free variation based on a folk song, "Ong-He-Ya (옹 혜야) ", from Kyung-Sang Province. The interval between "Ong" and "He-Ya" is usually transcribed in perfect fourth or major third. But the composer widened it into perfect fifth and made the lower note of the fifth a sort of fundamental. Then the structural intervals of "Ong" are (from the fundamental) perfect fifth, minor seventh, octave, major ninth, major tenth, augmented 11th and perfect 12th, very similar with natural harmonic series. The composer translated the original song in this melodic material in free manner. "Ong-He-Ya" was sung in the barley threshing. Because the work is very hard and the movement of threshing is rather fast and mechanically repeating the mood of the folk song is energetic and metric. This mood is still remain in "Ong", though the style of "call and response" of the original song is disregarded because it is a solo piece for cello.